SEC chief White tells senators the current 10% advisor exam rate is cause for "great concern" and discusses fiduciary rules. 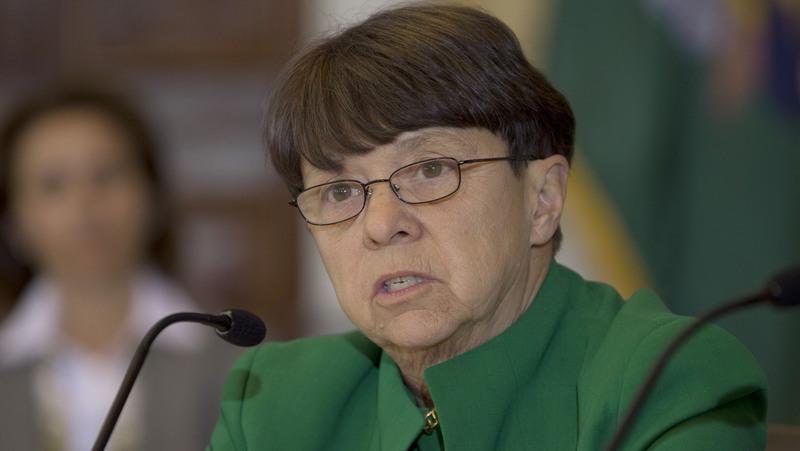 Boosting the Securities and Exchange Commission’s fiscal 2016 budget by 15% is vital to helping the agency increase investment advisor exams, as the current level of examining 10% of advisors annually presents “a real investor protection issue of great concern,” the agency’s chairwoman, Mary Jo White, told lawmakers Tuesday. President Barack Obama’s 2016 budget would fund the SEC at a level of $1.722 billion, 15% more than the agency’s fiscal 2015 budget of $1.5 billion. From fiscal year 2001 to the start of this fiscal year, assets under management of SEC-registered investment advisors increased approximately 254% from $17.5 trillion to approximately $62 trillion, White said. The boost in funding would allow the agency to hire an additional 431 staff in “critical, core areas,” White told members of the Senate Subcommittee on Financial Services and General Government Committee on Appropriations. The agency could reach 225 examiners total, with 180 devoted to investment advisor exams. Adding 180 examiners (once fully trained) would help the agency boost the advisor exam rate to approximately 14% per year. White reiterated her previous comments that the SEC has been providing “technical assistance” to the DOL on its fiduciary rulemaking and again stated that the SEC and DOL are two separate agencies operating under different statutes. The SEC has assisted DOL as it relates to the “broker-dealer model,” White said, as well as the “possible impact” of a new fiduciary definition on lower-income individuals. She added that the SEC is “proceeding” in its discussions of a uniform fiduciary standard under Section 913 of the Dodd-Frank Act, which “imposes certain parameters” on the SEC. That said, however, Obama’s SEC budget request “is basically DOA,” Tittsworth says. Twenty-one percent indicated that the rules would be a nonevent for their business, and 14% were unsure of the impact. Eight percent indicated that the DOL plan would be a nonevent, and 18% were unsure of the impact on investors. — Check out FINRA’s Ketchum Criticizes DOL Fiduciary Plan on ThinkAdvisor.